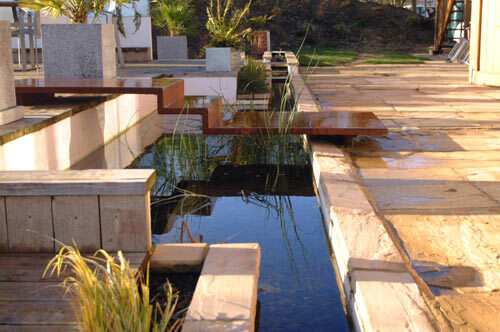 Corten Steel, a subsidiary of Hollywood Design has a long standing reputation in the use of weathering steels of all forms with architects, sculptors and designers. Corten® Steel or commonly known as Weathering Steel was originally developed to eliminate the requirement of painting surface finishes. It is widely used for both sculptures and building cladding because of its inbuilt corrosion-retarding layer. Hollywood Design was set up in 1990 as a design consultancy and workshop. We specialise in the manufacture of quality pieces of architectural metalwork through to batch production of modern furniture and small to large scale sculpture. Material versatility and a thorough knowledge of processes along with the use of computer aided design allows all of our projects using what ever materials to meet the highest standards of fabrication with the emphasis on quality of build and finish above all else. The workshop provides a prototype facility allowing projects to be worked through from the conceptual stage to the final product allowing any problems to be overcome before production. Please contact us if you have any questions regarding your design and construction requirements. See Contact Page for details.